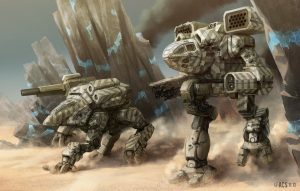 This category contains articles with an empty or nonstandard "Tech Base" or "mech type" parameter for Template:InfoBoxBattleMech (or another similar template). Please check that the Tech Base parameter is filled in for the template, and/or change the parameter to one of "Primitive, "Inner Sphere", "Clan", or "Mixed". Also, please check that the mech type parameter is filled in for the template, and that it is one of "BattleMech", "OmniMech", or "IndustrialMech". Pages in category "Empty or nonstandard InfoBoxBattleMech tech base parameter"
This page was last edited on 3 September 2017, at 21:27.